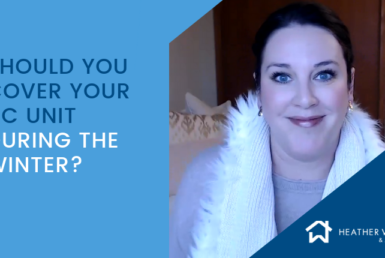 When you’re selling your house and have taken time to clean, pick up, and clear all your counters so a buyer can tour your home – you probably want to know what they thought about your house, right? Actually, you probably want them to make an offer! But, if they don’t make an offer, it’s common for sellers to want to know WHY. 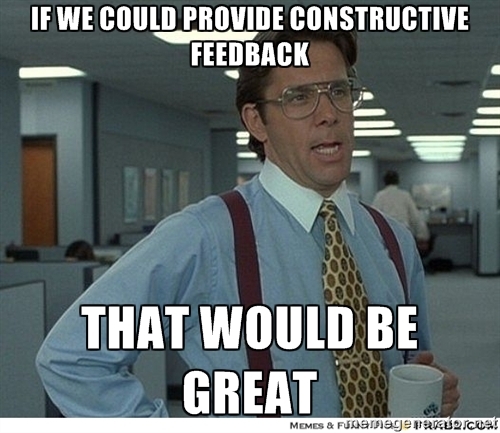 The “why” is called buyer feedback. And, sometimes it can be confusing. 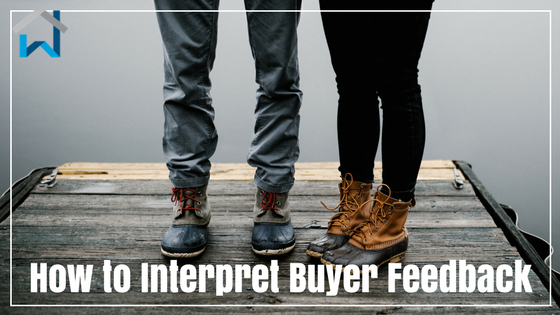 Interpreting buyer feedback can be a difficult task. It’s common practice on my team to ask the agent that showed the property what the buyer thought. “The furnace (or insert other large mechanical name here) is old and they’re just not sure.” The buyer is afraid of major expenses down the road. So, for the price your house is listed at - they fear it’s going to cost too much money later and not be worth it. “They were surprised at the (insert name of something not shown in photos).” Is it possible your photos are hiding something obvious that people won’t like? Re-shoot the pics. Sometimes pictures are deceiving in that rooms look bigger than they are. And, sometimes photos don’t show how awesome a house truly is. Or, maybe they didn’t look at the photos very closely at all and it’s not your pics at all. Either way, they’re probably disappointed with the reality for whatever reason and not going to make an offer because it’s just not what they want. “It was our first time out and they’re just getting started.” They might need to see more homes to understand value but at the moment they’re not excited enough about your house to make an offer. “The pet odor was strong.” You need to clean, throw away air fresheners, and/or remove odor. It’s amazing how much more a clean/fresh smelling home will sell for vs. one that hasn’t been prepared as well. “Too much wallpaper.” You probably need to look at doing some repairs or updates. It’s hard to get top market value for a house that isn’t updated or is more a fix-it project. “It’s a lovely home, thank the sellers for us.” Who knows what that means but more than likely if it’s not followed with an offer it means they’re not interested. “It’s too close to the (insert name of something that buyers will be annoyed with - convenience store, school, business, etc. ).” Sometimes the location of a house can really surprise a buyer (and sometimes the agent!) when they pull up to the house. For example, if your address is on a side street but the interstate is in your backyard. It’s better to confront those issues in the listing than surprise people at the showing. These are just a few examples of feedback we see – and give. Ultimately, when someone gives you feedback, good or bad, but it’s not followed with an offer – the feedback means the buyer didn’t see the value in your house for the listing price. Really, it’s all about VALUE. You can’t change the location. So, if you live on a busy street or have apartments right next to your house, you can expect people to not love that. With honest advertising (seriously, you cannot hide that interstate) and proper value placement, you can overcome this objective. You can change the condition. But, maybe you don’t want to. Because if buyers are commenting that they think the house is too much work – you have a value problem. You can remedy the issues that are causing the issue (remove wallpaper, paint, update, etc) or you can adjust the price. Or, you can get creative with another solution that adds more value in the buyer’s perception. And, if your location is great and the condition is great but people still aren’t buying your house? Well, that could be a number of things. But, the odds are good that it’s a value problem and the market is rejecting your listing price. That’s easy enough to fix – adjust the price. 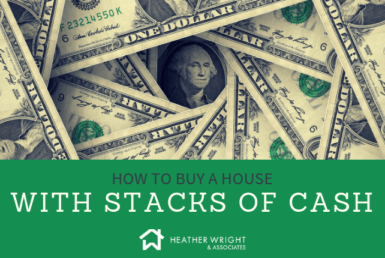 There are a lot of other factors that go into selling your home. For example, it could also be the condition of your real estate market overall. Or, the micro-market in your neighborhood. You probably won’t find the end-all-be-all answer to why your house isn’t selling online. 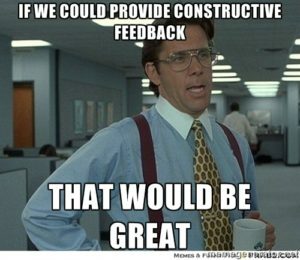 That’s why you need an expert to help you interpret the market conditions – on top of the buyer feedback! If you want to chat with me more about how our systems work when we sell a house – drop me a line. My Real Estate Assessment Just Went Up!